GOVERNOR MATT MEAD: I think regardless of the energy source, we should always be looking at ways how to improve it. Even the green energy, for example, wind energy has its own challenges with viewshed, endangered species. The same is true with fossil fuels. We should all have a goal to how do we make every energy source as clean, as efficient and as environmentally friendly as we can. Let’s find technology and innovation that finds the solutions. It’s not a solution to take coal off the table. It’s too good an energy source. So, let's look to how do we improve it. While I may be a skeptic, we do see that the markets are not a skeptic. You see what’s happened to coal companies stock prices, you see major banks like bank of America withdrawing from coal, so to my friends in the coal sector, I say, we’ve got to move beyond where we believe or not. Here’s the reality: other industries believe it, other countries believe it. So we are now in a position [where] let’s find the solutions for it. STEPHANIE JOYCE: We’ve all heard at this point about the Obama administration’s new carbon regulations for power plants. Those primarily target coal-fired power plants and making sure that those power plants do get cleaner, that we do capture the emissions or reduce the emissions from those coal-fired power plants over the 15 years and improve the technology, or shut them down if that’s not possible. 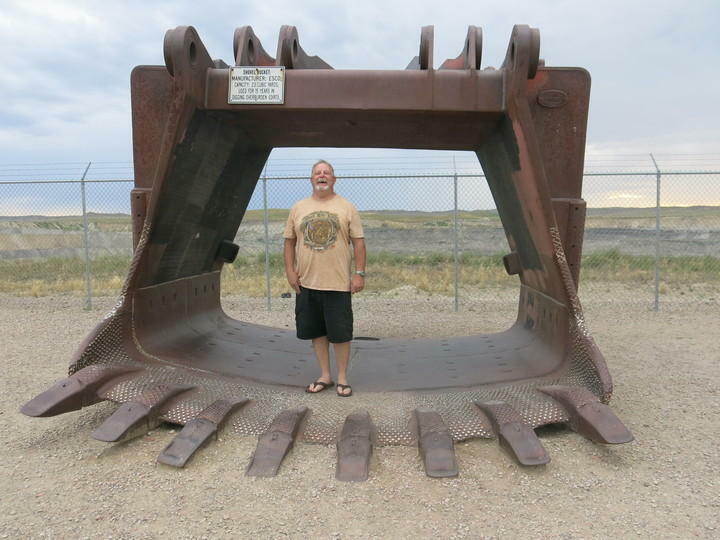 So what’s your plan with regard to those regulations here in Wyoming? MEAD: Well, first of all, I think the regulation is horrible. And the reason I think it’s horrible is I don’t think it does much in the way of providing for innovation and technology. What I think it does do is shut these coal-fired plants down. And it’s particularly harmful to the State of Wyoming. When the draft rule came out, we commented on it. And the draft rule required a 19 percent reduction for Wyoming, and we made serious comments as did some of the state agencies and then the final rule comes out it’s gone from 19 percent to 41 percent. So my comments netted about 20 percent additional burden on the state of Wyoming. But beyond that I think it’s a bad deal because I think it effectively starts taking coal off the table. And that’s not just bad for Wyoming, it’s frankly bad for the country. And no one is asking the question: assume they get everything they want in this, what does it do? What does it to the United States in terms of the economy, in terms of us not being as competitive as we should be, and what does it do competitively on the pro side? What does it do terms of this goal of helping the environment? And I think it’s negligible at best. JOYCE: In the past, regulations have come down and people have said ‘it’s going to ruin this industry, it’s going to ruin that industry.’ And industries have actually innovated and managed to comply typically in the past. Why would this regulation be any different? It’s set a limit, it’s set a target, why wouldn’t the coal industry be able to innovate its way to that goal? MEAD: We’re in a situation where these rules are not in isolation. You put the Clean Air rules on top of the regional haze rules, on top of the mercury rules, and this is different than what we’ve seen in the past, it is a layering. Also, in order for us to say, ‘well we’ll get through this,’ you have to say the industry is going to survive. Because innovation and technology are not going to come in a vacuum where you have a dying industry. I mean, who’s going to invest in the technology needed to do that? You know, we did move from the candle to the lightbulb because of regulations. We did it because we had a spirit of innovation and opportunity for technology in this country, and I think the same is true with coal. Create an environment where it is not death by regulations, but it is improvement by innovation, and I’m convinced science and scientists can find the answers to coal. JOYCE: But even when coal companies were doing well, even when they were raking in huge profits, a lot of people have argued that they didn’t prioritize those investments in research and development, they didn’t prioritize innovation and working with their customers, the utilities, to come up with solutions. So what makes you think that would change in the future? JOYCE: You’ve said you are planning to sue over these new regulations. Are you planning on drafting a compliance plan? MEAD: We’ve been looking at that as everyone else has, and it’s sort of under this threat that either you come up with a state plan or you’re going to have to live under a federal plan. And we’ve done that deal, that’s exactly what happened with regional haze, we worked and worked and worked and came up with a plan, a state plan for regional haze that we thought was very good. The EPA comes in and says it’s not to their liking, so you’re under a federal plan anyways. We don’t live in a vacuum. We look at it and say ‘if this comes about, whether we’re forced to do a state plan or a federal plan, how would we go about doing it?’ And when it was a 19 percent reduction, it looked onerous and then like I said, we commented to the EPA and they bumped us up to 41 percent and it looks much worse now. JOYCE: So is that a yes or a no on the compliance plan? MEAD: Well, yeah. It’s a yes. We’ve been looking on how to work it, but to date I will tell you that I don’t see, and I don’t think the people in my state agencies, see a real workable plan on how to go forward to get this accomplished. JOYCE: Wyoming has excellent renewable energy resources, both wind and solar. And I think a lot of people would argue they’re underutilized at the moment—there isn’t nearly as much investment in wind here as there is in places like Iowa and Texas. What role should renewable resources play here in Wyoming going forward? MEAD: It’s like I said, I think this is the time to be adding energy sources. And I think renewables need to play a bigger and bigger role. I proudly say we have the best onshore wind in the country. We have some great opportunities to do that. But wind, like other energy sources, has its own energy challenges. If you’re in an area where you’re going to be looking at an oil derrick for six months versus wind turbines for 30 years, people have different feelings on that. If you have concerns, as say the Audubon Society does, about the wind turbines and raptors, if you have concerns about bats, those are all challenges. And then the other part of it with regard to wind is then you get into the issue of transmission, and where are you going to put the power lines? Whose backyard do the power lines go through? So it has its own challenges, but as you see, a company is in the planning process in Wyoming to put up the world’s largest wind farm, so it’s certainly not a situation where Wyoming has stifled wind development. It’s that we have to work through a different set of issues, but also tricky issues to get those things done as well. JOYCE: You’re revising your energy strategy at the moment. I was up at the energy strategy meeting in Gillette where you were soliciting input from the public. One of the things that a number of people told me was they’re very happy that you’re asking for their input, but what they’d really like is to hear what your plan is. So, for those people, can you summarize what your plan is? MEAD: Well, part of the energy strategy is to help develop that plan, and that’s why we reach out to people on what their point of view is. But I would say this: before I came into office, the state that exports more energy than any other state didn’t have an energy plan, and so part of the energy plan is to see what we have, where we are and where we’re going. I think that the energy strategy overall is I want to make sure we have a way to responsibly develop our minerals in an environmentally sound way. That we can do so and not only meet what other states are doing but frankly set the example for the country on how to go about doing this, so that 10 years, 50 years from now, we can say, we have number one uranium reserves, number one in coal, top ten in oil and gas and we’ve continued to develop those. We have protected our environment, we have found the right balance and that we’ve provided the wealth to the citizens of this state that resulted from that development, that builds our schools, builds our roads, funds our family services, funds our department of health. And that we do it in a way that 50 years from now, we still love the look, the feel the taste of Wyoming. Tonight’s class on the new papal encyclical at St. Paul’s Newman Center Catholic church in Laramie begins, well, in the beginning. Before parishioners dive into the Pope’s message, they read aloud from the creation story in Genesis. The Pope’s letter began drawing a flurry of praise and condemnation before it was officially published. The teacher here, Father Rob Spaulding, points out that a draft was leaked to the press a few days early. “So clearly it was something there was great interest about,” Spaulding says. 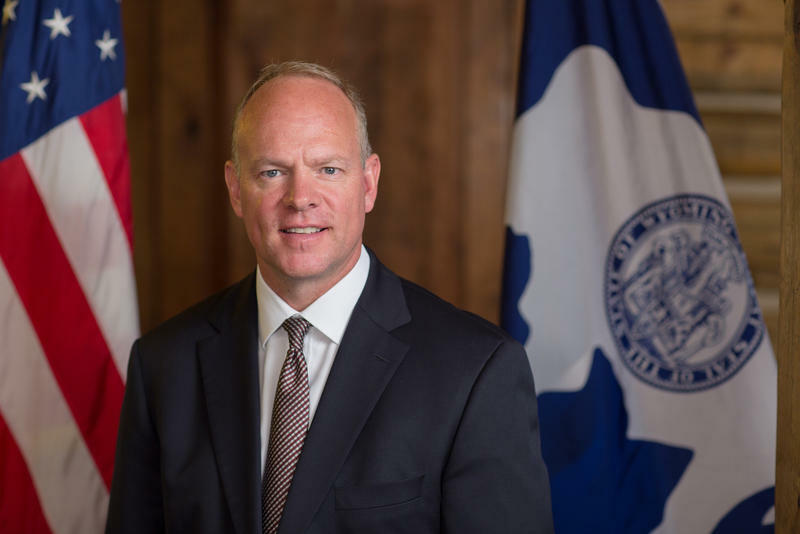 Wyoming Governor Matt Mead says the state will draft a plan to comply with new federal regulations for carbon emissions from power plants. The Obama administration released the final version of its Clean Power Plan last week. It requires Wyoming to reduce its carbon emissions more than 40 percent by 2030. On Monday, the Obama administration released the centerpiece of its climate change agenda: the Clean Power Plan. The rule aims to reduce carbon emissions from coal and gas-fired power plants and increase the country’s use of renewable energy. 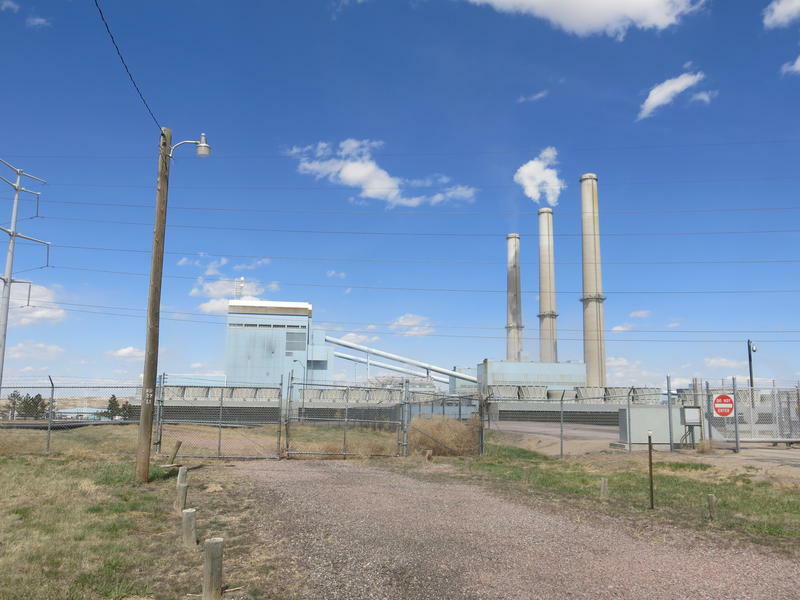 Wyoming Public Radio’s energy reporter Stephanie Joyce joined Morning Edition host Caroline Ballard to talk about the details of the plan and what it means for Wyoming.